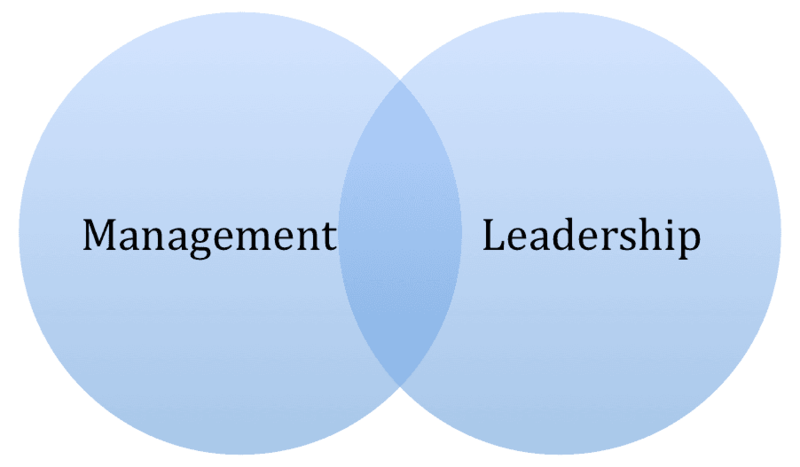 Leadership and management are terms frequently interchanged within the workplace. Both concepts are interconnected, but they do not mean the same thing. By understanding the differences between them, you will learn the importance of leadership in management and how leadership development will allow you to be a better manager overall. As a business executive, management is handed to you along with your job title. A manager’s job is to plan, organize and coordinate. Leadership, however, is a responsibility that managers have to innovate, challenge and inspire their employees. You manage processes, you lead people. Within a business, we need both leaders and managers. Leaders inspire people to take action. Managers hold people accountable for those actions. Anyone in the organization has the potential to become a leader, but managers must be leaders. A leader who cannot manage has a vision of where they want to go but no idea of how to get there. A manager who cannot lead is not able to build trust and create engagement within an organization to get to where they need to go. Behind every innovative company lies a charismatic leader who pushes and inspires his or her employees to be the best. As Steve Jobs was to Apple, and Jack Welch to GE, great CEOs are known for more than their management skills. They offer a different approach outside the norm, and motivate their followers to execute their vision to reach their business goals. Executive leaders instill a corporate culture in their organization that encourages employees to stay engaged in their work. Employees are given recognition and are shown appreciation. By focusing on employees as well as the overall big picture, executive leaders help their people play to their strengths to reach their organizational goals. As a manager, are you a leader? In Verne Harnish’s book Scaling Up, about Mastering the Rockefeller Habits, he identifies that good managers (without leadership) discover what is different about people and capitalize on it. But great managers who are leaders discover what is universal, build a common vision for a better future around it, and then rally people behind it. Leadership can be learned, and you should continue to grow as a leader through coaching. As an executive, you spend a lot of time and valuable resources training your staff on how to be managers. It is important to also teach executives how to be leaders. Gazelles Rockefeller Habits is a great resource for leadership skill development. All growth companies must be training and development companies. Every person in your organization should have a personal development plan, including yourself! By understanding how leadership plays into the four business decisions you make as an executive (strategy, execution, people and cash), you’ll have a clear grasp the role you need to take in your organization through both management and leadership.